Mohanlal's Loham is not original at all, warns Paresh C Palicha. Some time ago, there were reports of smuggled gold being caught across airports in Kerala. There were many conspiracy theories doing the rounds, stories about hapless carriers and the big fish involved in this business. Such stories make good fodder for a masala film and director Ranjith decided to take it up. Loham - The Yellow Metal, written and directed by Ranjith and starring Mohanlal, carried a lot of expectations since it's the first Onam release. Sadly, it fails to deliver. The story begins with the arrival of the human remains of a young man at the Karipur airport. This man had died in an accident at a construction site in Dubai. Local MLA (Hareesh Perady) comes to the airport to expedite the customs clearance of this body. The back story of the young man, portrayed by Musthafa, plays a significant role in the story and the chartbuster song Kanaka Mylanchi features here. All good till now. Next, we see Jayanthi Ramesh (Andrea Jeremiah) landing in Kochi with Mohanlal as her talkative cab driver Raju. She has arrived to learn the whereabouts of her husband Ramesh (Ashvin A Mathew), a customs officer, who has gone missing after clearing the dead body of the youth at the Karipur airport a few days back. Many characters make an appearance as Jayanthi and Raju drive around the city, adding to the mystery. It feels as if the director is deliberately on the simmering point in the first half, relying on Mohanlal’s comic prowess and we wait expectantly for the narrative to explode. Things just fizzle out without providing us any real thrills. As we go along, it is revealed that the coffin of the young man had 100 kilos of gold hidden in it, and that had gone missing when the body was delivered at his home. Everyone is after the loot, including the good guys. There are many twists and turns in the tale but they are neither original nor interesting. Characters played by Sasi Kalinga and Shankar Ramakrishnan do not even contribute to the plot. 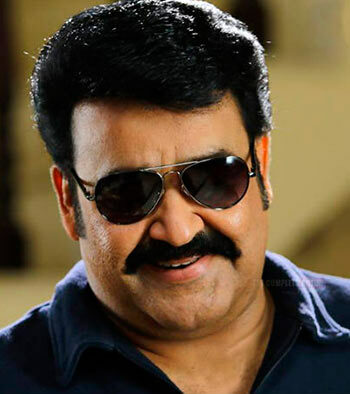 Writer Renji Panicker, who plays a member of Mohanlal’s gang, is the only one who shows some spark as an actor. The rest seem to be going through the motions as instructed. After testing this Loham, we can only say that it lacks lustre, and is not original at all.